IPC A-610 Certified IPC Trainer (CIT) Course at BEST Inc. 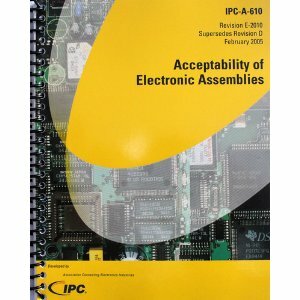 The IPC-A-610, Acceptability of Electronic Assemblies, is the most widely used specification published by IPC for the electronics manufacturing industry. This publication is a visual document that provides comprehensive accept/reject criteria for handling of electronic assemblies, mechanical assemblies, component installation, location, orientation, soldering, cleanliness of assemblies, marking of assemblies, coatings, laminate conditions, discrete wiring assembly and surface mount assemblies. This IPC A-610 certification class is designed for instructors who then teach associates in the standard and the materials in the standard once the standards for IPC certification have been met. Certification in this IPC 610 training course demonstrates your commitment to continuous improvement of the product quality and reliability. The IPC-A-610 Certified IPC Trainer (CIT) course provides individuals with a portable credential that represents their understanding of the IPC-A-610 training program and how to teach the same. This class does NOT include any hand soldering instruction. However, this course does include hands-on component inspection training related to the inspection of wires and terminals, as well as printed circuit boards. Please see the "Assembly Courses" for hands-on training. The IPC-A-610 certification course for IPC trainers (CITs) course is an intensive page-by-page review of the IPC-A-610 document and a review of basic instructor skills. Upon completion of this IPC 610 training course, the trainer will be able to correctly determine "accept/reject" criteria for Class 1, 2, and 3 products based on the acceptability requirements of the IPC-A-610. Instructor candidates who successfully complete the written examinations are certified as instructors by IPC and given the instructional materials required to conduct the IPC-A-610 Certified IPC Specialist (CIS) course.